When it comes to facial exfoliation, the options are seemingly endless. From enzyme washes to grainy scrubs to AHA masks, the formulas to choose from can feel a bit overwhelming. Meanwhile, many gadgets that have been proven effective can be a serious investment. Which is why the idea of a more-affordable exfoliating option immediately piqued my interest. But the most interesting part? This budget-friendly dead-skin remover is a face brush that is meant to be used dry. 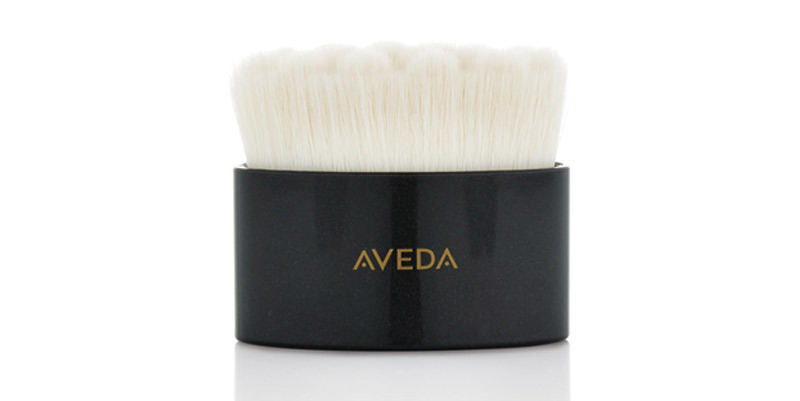 Borrowed from the ancient Ayurvedic practice of dry body-brushing comes Aveda’s new soft brush designed for the face. It’s the same idea as the brush you’d use on your legs or arms: daily dry brushing before cleansing removes dead skin, stimulates blood flow (which we all know is vital), and helps with lymphatic drainage. Translation: a smoother, more radiant, less puffy visage.